1946 - Champion - ARMENIAN CHAMPIONSHIP. 1947 - Champion - ARMENIAN CHAMPIONSHIP. 1948 - Champion - ARMENIAN CHAMPIONSHIP. 14/12/1951 – Sub-Champion – USSR CHAMPIONSHIP. 14/02/1958 – Sub-Champion – USSR CHAMPIONSHIP. 11/02/1959 – Champion – USSR CHAMPIONSHIP. 1960 – Champion – INTERNATIONAL OF WIJK AAN ZEE. 26/02/1960 – Sub-Champion – USSR CHAMPIONSHIP. 11/02/1961 – Champion – USSR CHAMPIONSHIP. PETROSIAN 12’5 – BOTVINNIK 9’5. PETROSIAN 12’5 – SPASSKY 11’5. 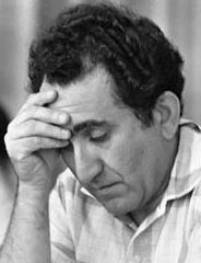 SPASSKY 12’5 – PETROSIAN 10’5. 12/10/1969 – Champion – USSR CHAMPIONSHIP. 22/12/1975 – Champion – USSR CHAMPIONSHIP.